Peter LawrieOn a day when the London Club took its toll on the elite field with Masters champion Angel Cabrera, Players Championship winner Henrik Stenson and defending champion Ross Fisher missing the cut, Lawrie chiseled out a superb 71 to trail leaders Jeev Milkha Singh and Michael Lorenzo Vera by just two strokes on six under par. The Dubliner missed more fairways than normal on a breezy afternoon in Kent but while he missed 10 greens he got up and down for par six times and chipped in for a birdie at another. "It was probably three or four shots harder than yesterday," Lawrie said. "The wind dried out the greens and made it very difficult. I played lovely golf yesterday and quite nicely again today but to be a couple off the lead going into Saturday is a nice place to be." Asked if he'd be going out all guns blazing, he said: "It's a course where you have to be a little bit tactical and that suits me. You have got to keep it straight and I have been pretty straight all year. 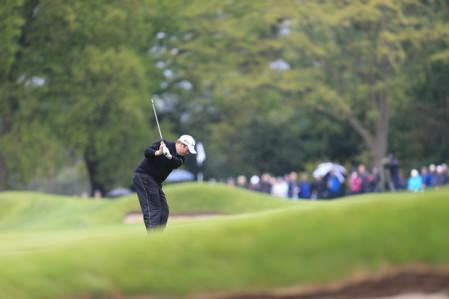 I am looking forward to tomorrow and if I can hole a few nice putts I will be there or thereabouts." 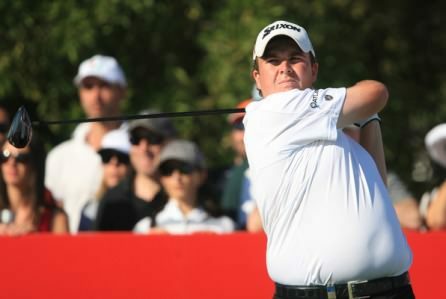 Irish Open winner Lowry followed his opening 78 with a respectable 73 but still missed the cut by six strokes on seven over par and appeared relieved to get his first professional tournament out of the way. Yearning for a little anonymity over the coming weeks, he said: “I played very well actually, just couldn’t hole a putt out there. I’ll be okay for early next week. “I wasn’t really firing on all cylinders but I didn’t really learn much. I went for a couple of pins when I shouldn’t have and things like that but that’s life. 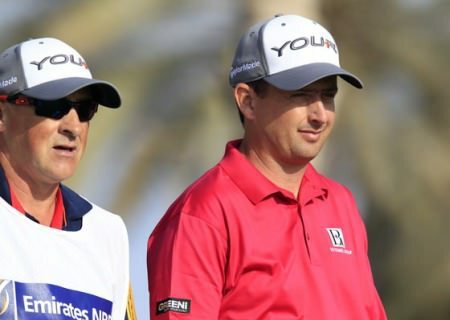 Damien McGrane, Gary Murphy, Gareth Maybin, Darren Clarke and Michael Hoey all missed the cut leaving Lawrie, Rory McIlroy, Graeme McDowell and Paul McGinley to fly the flag over the weekend. McIlroy carded a battling 73 thanks to birdies at his 16th and 17th holes but it remains to be seen if he has enough in the tank to catch the leaders at the end of a gruelling four-week tournament run. McIlroy said: “It is my fourth week in a row. I have given my best efforts for the last two days but I think the two week break coming up will be very welcome. “I have done well to get in for the weekend after the way things were going in the middle of the round. I knew I need a couple of birdies coming in and it is nice to be able to do it when you need to. McDowell made a double bogey at the fourth but produced a typically gutsy display after that with four birdies and three bogeys adding up to a 73 that saw him safely through the cut mark on one-under par. McGinley was another to get going when the going got tough. Out in four over par 40, he was five over for the day with five to play but birdied two par fives coming home for a 75 that left him on one-over par and was relieved to dip under the cut mark as the wind and deep rough caused havoc for the afternoon starters. 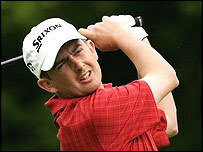 The biggest victim was South African Thomas Aiken, who was tied for second over night after a first round 66 but followed that with an 81 to miss the cut by two shots. After eight holes of his second round Aiken was eight under par, but he then bogeyed the ninth and took 46 on the windswept back nine - including a triple bogey seven on the 443-yard 14th and quadruple bogey nine at the next.